The Mega KeyMod Rail is designed for use with any standard KeyMod compatible platform. 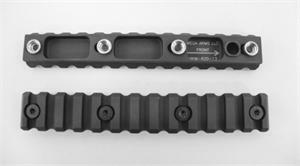 Machined from aircraft grade aluminum and supplied with fastening hardware. 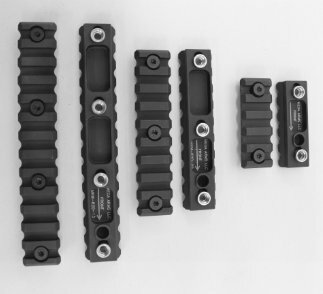 · Fits any standard KeyMod compatible platform. · Black hard anodized with a surface hardness of 60 Rockwell. · Machined from aircraft grade aluminum.